Mark C of E First School and Mark Harvest Pre-school performed their summer show to the delight of family and friends. To celebrate the Queen's 90th year, the theme was the Royal Circus. 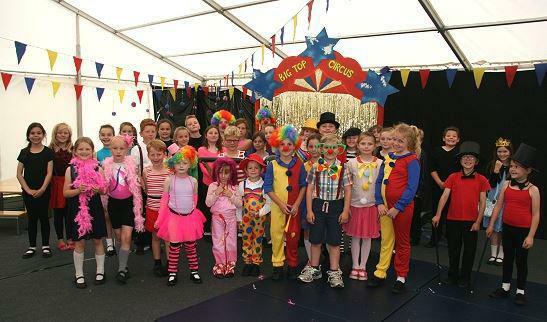 Circus masters, strong men, clowns and an escapologist each took their turn to perform for Her majesty the Queen! Lots of singing, dancing and acting took place to impress the X-Factor style judges. Many Thanks to the children, parents and staff for all the preparation and Poly Hall and Nikki Hewson for writing the show.